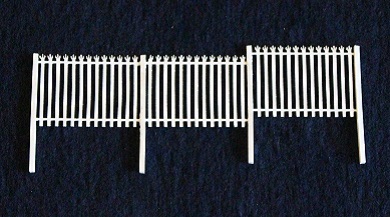 3-Spike pallisade fencing with 10 panels, 12 posts and a handy spacing template in each pack. Each panel is 34mm wide and 24mm high. Posts have dual hole for stepping up/down the fencing line.